Duncan Phillips (1886‒1966) was the younger son of Major Duncan Phillips, a Pittsburgh businessman and Civil War veteran, and Eliza Laughlin Phillips, whose father was a banker and co-founder of the Jones and Laughlin steelworks. He moved with his family to Washington in 1895. Duncan Phillips was very close to his older brother, Jim, with whom he graduated from Yale in 1908. Duncan wrote extensively on art and published his first book, The Enchantment of Art, in 1914. He and Jim also collected works of art, obtaining a collecting allowance from their parents in 1916.
began drawing seriously at the age of five, encouraged to become an artist by her maternal uncles—the painters Gifford and Reynolds Beal. By 1918 she was commuting to New York City from her family home in Ossining-on-the-Hudson, taking classes at the Art Students League. She was especially impressed by one of her teachers, Boardman Robinson, whose theory of “rhythmic continuity” led her to emphasize overall pattern in her work. 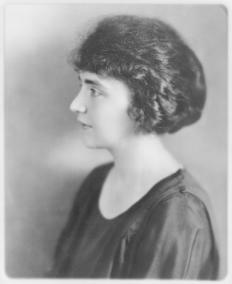 Phillips married artist Marjorie Acker in October 1921, just before the museum opened, and the two worked closely together. 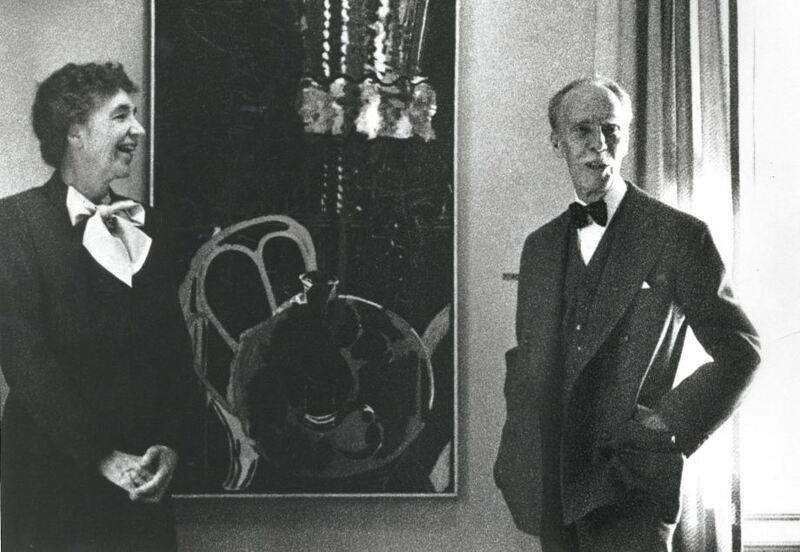 Over the years, Phillips continued to write about art, build strong relationships with artists as patron and collector, present numerous exhibitions, and frequently rearrange works of art in the galleries. He served as the museum’s director until his death in 1966. And in June 1959, together they receive the Award of Merit for lifetime devotion to art, bestowed by the Philadelphia Museum School of Art. In his acceptance speech, Duncan pays tribute to Marjorie’s work: “We are happy to be honored jointly – to have our partnership in the Collection recognized. I am always eager to acknowledge my indebtedness to my partner’s creative perceptions as a professional painter”. scholarship, and new forms of public participation. Encounter superb works of modern art in an intimate setting at The Phillips Collection, opened to the public in 1921 in Washington’s vibrant Dupont Circle neighborhood. Paintings by Renoir and Rothko, Bonnard and O’Keeffe, van Gogh and Diebenkorn are among the many stunning impressionist and modern works that fill the museum. Its distinctive building combines extensive new galleries with the former home of its founder, Duncan Phillips. The collection continues to develop with selective new acquisitions, many by contemporary artists.